Actress Hansika Motwani last film Gulebaghavali with dancing legend Prabhudheva went on to receive a lukewarm response from the critics and audiences. The Hot actress Hansika Motwani who has two Tamil films in her kitty is embroiled in a controversy where a man claiming to be her manager is accusing her of cheating him. 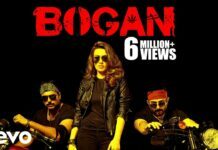 Now The Cheating Complaint Filed Against the actress Hansika Motwani in Nadigar Sangam at the Nadigar Sangam manager Munusamy. In his complaint, he has said that Hansika has failed to pay his wages for a long time. A Sify report says that Munusamy has enough evidence to prove his case. However, it is a known fact that Hansika’s mother Mona Motwani manages her schedule and deal with her remuneration for every film. If Munusamy manages to provide proper evidence, Nadigar Sangam will seek Hansika’s explanation in this issue. Hansika is yet to respond to the accusations leveled against her by Munusamy. On the work front, Hansika is working on Thuppakki Munai with Vikram Prabhu, directed by Mani Ratnam’s erstwhile assistant Dinesh Selvaraj. Apart from this project, she also has an untitled film with actor Atharvaa and director Sam Anton. In 2017, Hansika Motwani had four releases in different languages and all of them fared well at the box office.